With less than a month left to get your Christmas shopping done, we’ve been making things easier with a series of guides to gift shopping in Joburg. If you’re looking for gifts for the diva in your life, check out our fashionistas’ gift shopping guide or for the amateur chef, check out our gift list for the foodies. This week, if you are looking for an eco-friendly locally made gift that lasts a lifetime, we’ve got some ideas. Half a trillion disposable coffee cups are manufactured annually around the world, of which it is estimated that less than 1% is recycled. Play your part by gifting a colourful reusable takeaway coffee cup made from bamboo fibres (pictured top), great for a friend or relative who is keen to cut down on their single-use plastic this year. 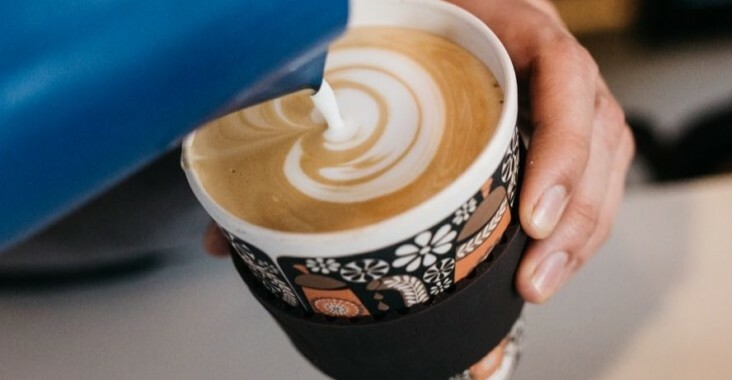 Joburg’s coffee chain, Motherland Coffee Company stocks a range of cups with funky African patterns. Where: Motherland Coffee Company has branches at The Zone@Rosebank, Dunkeld West Shopping Centre and Sandton City. For many the war on single-use plastics began with plastic straws and across Joburg you’ll find cafés and restaurants eliminating them. 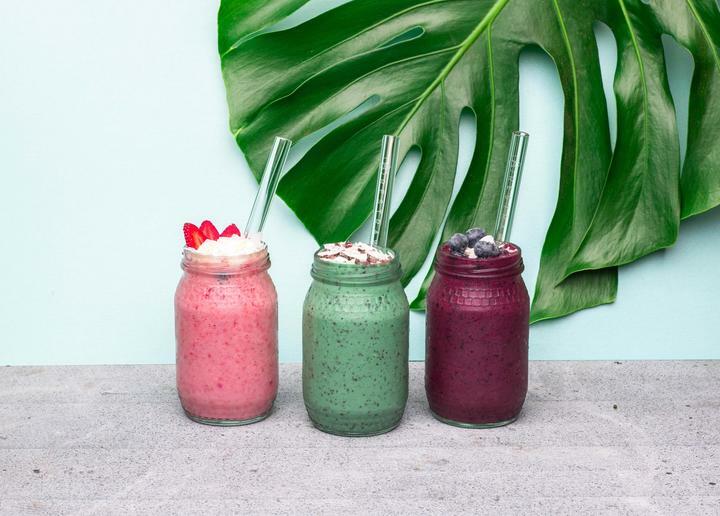 For the serious anti-plastic consumer South African brand Restraw makes glass straws that come with their own neat little hemp pouch – locally made and environmentally friendly. Where: Visit restraw.co.za for stockists. If you can’t bear plastic carrier bags head to 44 Stanley in Milpark and pick up a tote bag from local designer Love Jozi’s cool city map range or from their latest ‘I love you I hate you’ range, fun for any Joburg visitor and resident who is enjoying a love-hate relationship with this crazy city. Also at 44 Stanley pay a visit to illustration studio Brunch and check out their cool range of limited edition totes printed with illustrations by local artists. Where: 44 Stanley, 44 Stanley Ave, Milpark. An outlet for former street kids who receive photography training through the I Was Shot Foundation, iwasshot in joburg produces a great range of decorative gifts, many of them made from recycled waste materials. Joburg’s gritty streets catch the camera lens of the collective’s photographers whose images are emblazoned on a range of products that include T-shirts, and notebooks and photo frames. 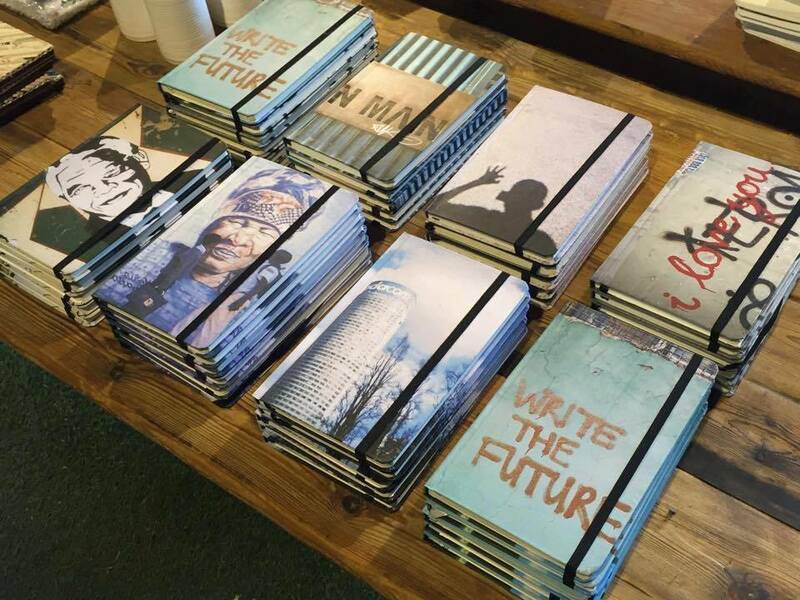 Where: Arts on Main, 264 Fox St, Maboneng, City Centre. You can also buy iwasshot in Joburg’s products at their stall at Rosebank Mall and online at iiilovelocal.com. Can you wear linen in winter? We think so! Linen weaving is an ancient practice, predating cotton and even wool fabric by thousands of years. But if you abide by more modern conventions that associate linen with summer, then let this beautiful Japanese navy linen shirt be a reminder of warmer days to come! This shirt was made in a bespoke size for a custom client and finished with natural coloured corozo buttons. At Elizabeth Kading’s tailoring studio Five8ths every made-to-measure shirt is handmade using fine sewing techniques and designed to last for many seasons. Meticulously designed and made using the finest ethically sourced fabrics, this is anti-fast-fashion, bent on style and less wastefulness. From lipsticks, moisturizer and sunscreen to soaps, shampoos and even deodorants, there’s no better place to shop for ethical beauty products made from natural sustainably sourced ingredients than Bryanston Organic Market. The Green Goodies Company’s natural glycerine soaps made with local ingredients such as baobab, avocado or honeybush make for particularly nice gifts if you are looking for something with an African flavour. Green Goodies also produce a whole range of other household products such as shampoo and toothpaste that are completely free from palm oil, a commonly used ingredient that has contributed massively to the destruction of Orangutan habitats in the far east. You can also order beauty products, organic foodstuffs and other eco-friendly essentials from Bryanston Organic Market’s many organic traders through the market’s online store. Where: 40 Culross Rd, Bryanston. The market is open Thu and Sat 09:00-15:00. Also look out for the festive moonlight markets series every Tue from 17:00. Shopping for pre-loved and vintage clothing is a great way to reduce your carbon footprint and statement vintage dresses and accessories are of course gifts that will always be one-of-a-kind. 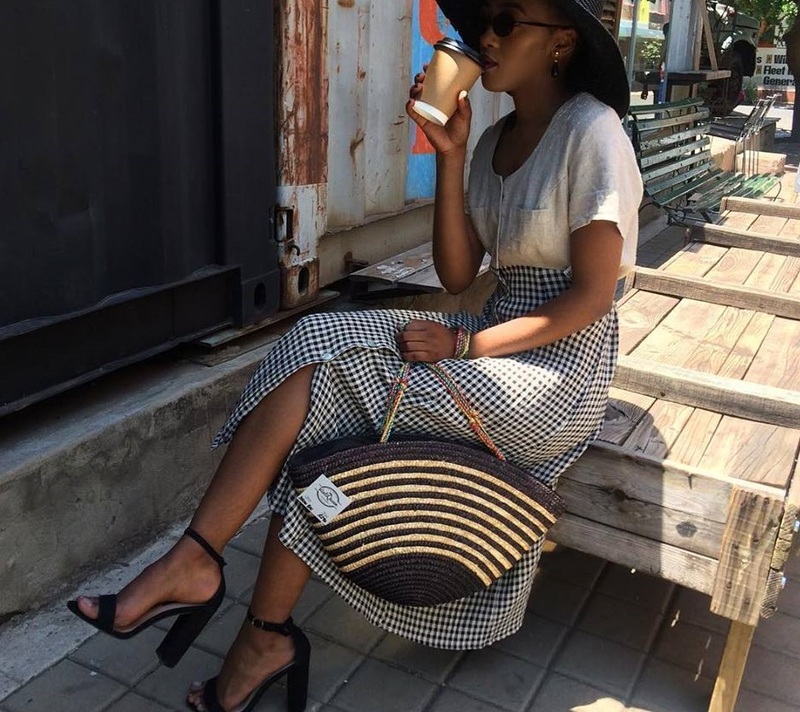 In Maboneng VintiQueen (pictured) is one of Joburg’s most-loved vintage clothing stores stocking a superbly curated selection of on-trend women’s clothing from the 1950s to the 1980s, much of it sourced from the US. Meanwhile in Craighall on Jan Smuts Avenue, Rags & Lace has been catering to the dedicated vintage clothing shoppers of the northern suburbs for some three decades. Still regarded as one of the best around, the rails are stuffed with pre-loved clothing from all eras – many of them from high fashion designer brands. Vintiqueen: Arts On Main, Maboneng. Rags & Lace: 358 Jan Smuts Ave, Craighall.